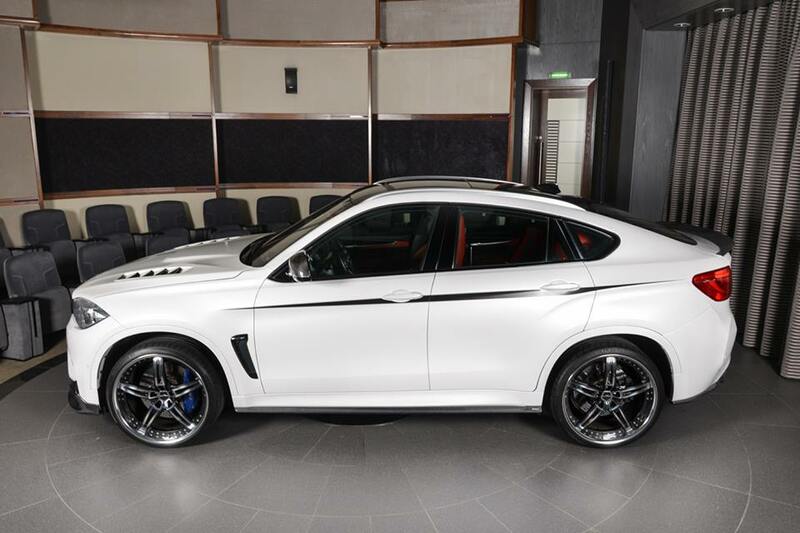 The new Lamborghini Urus SUV has not received, at least so far, the warm welcome the company was hoping it would. 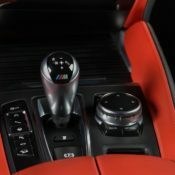 Some don’t like the way it looks. 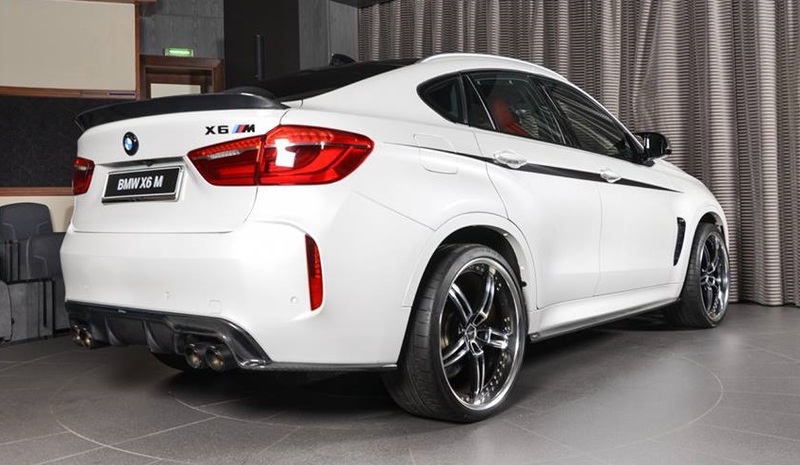 Some aren’t happy with the specs. 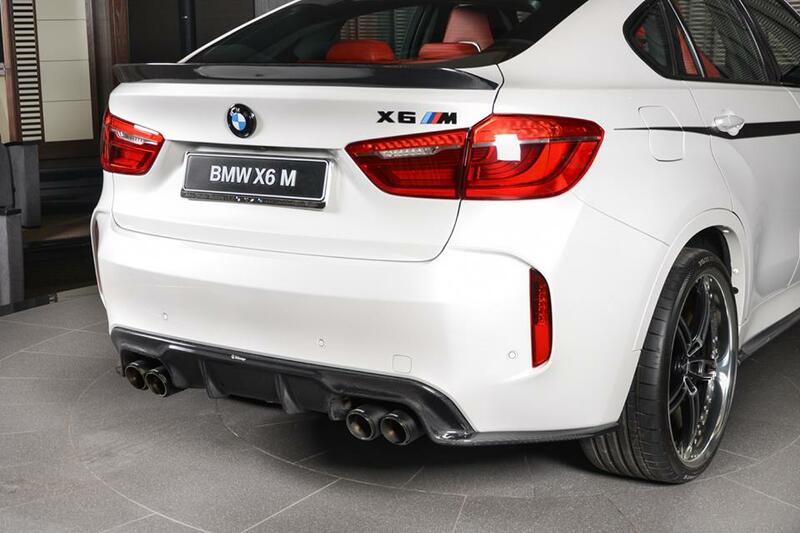 And to some it is just not extreme enough. 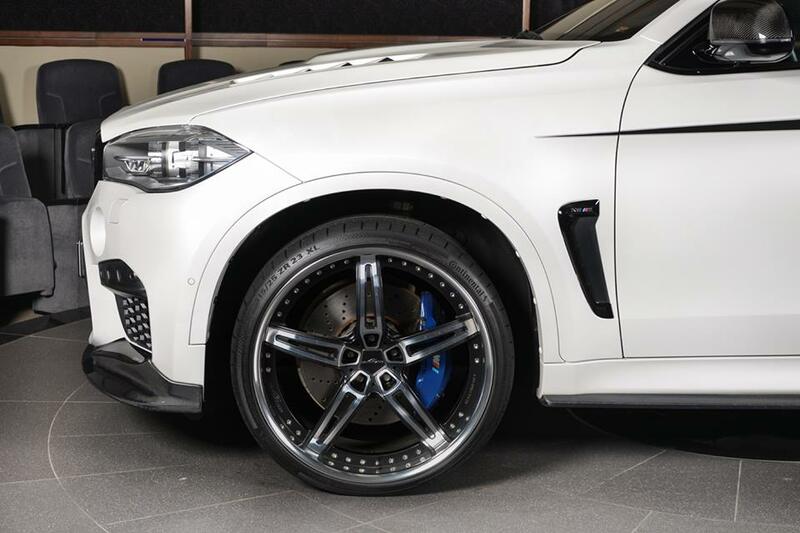 If you belong to the latter group, this custom BMW X6M garnished with all sorts of extra goodies may just be what you are after. 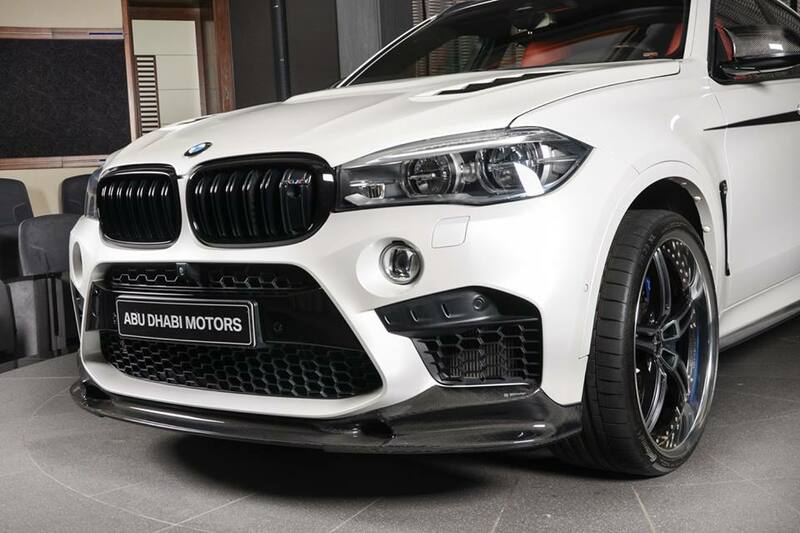 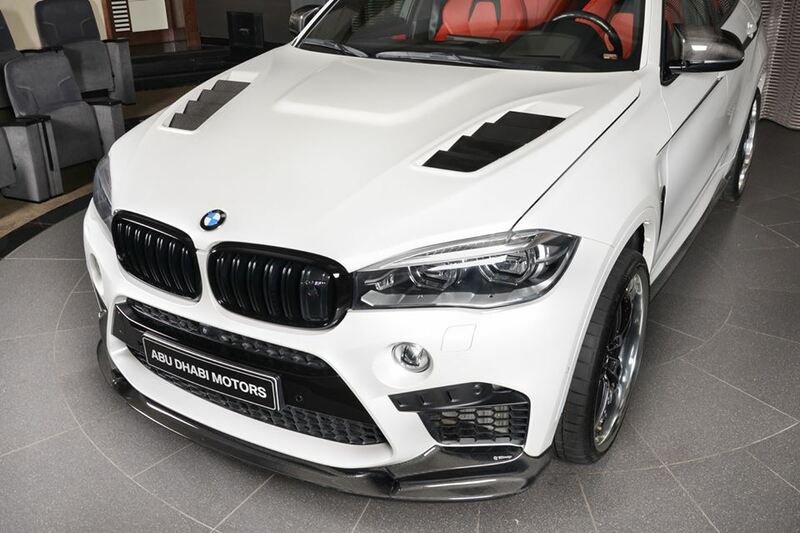 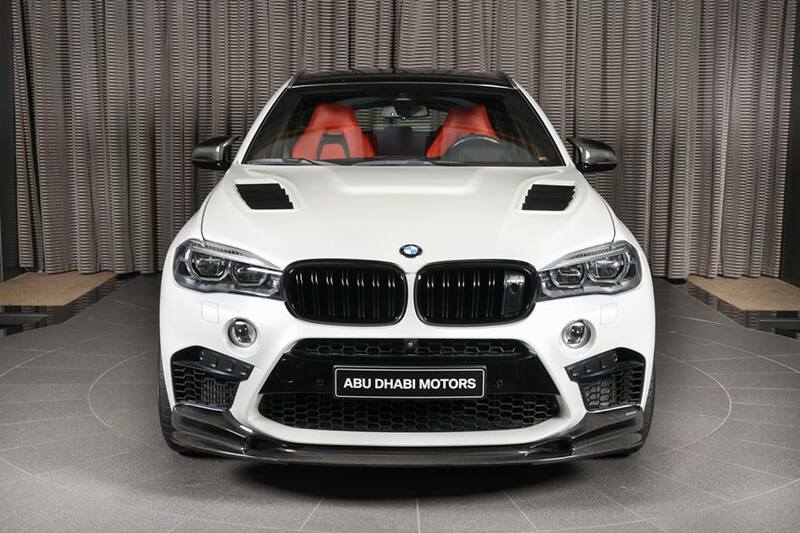 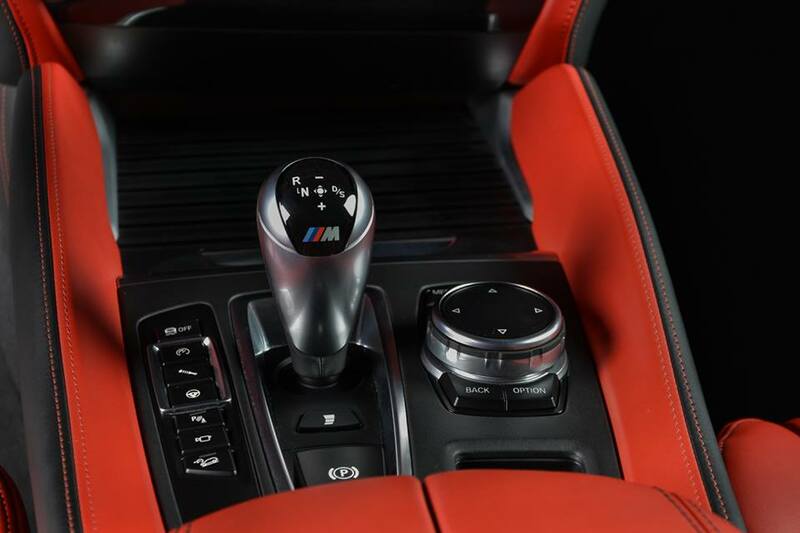 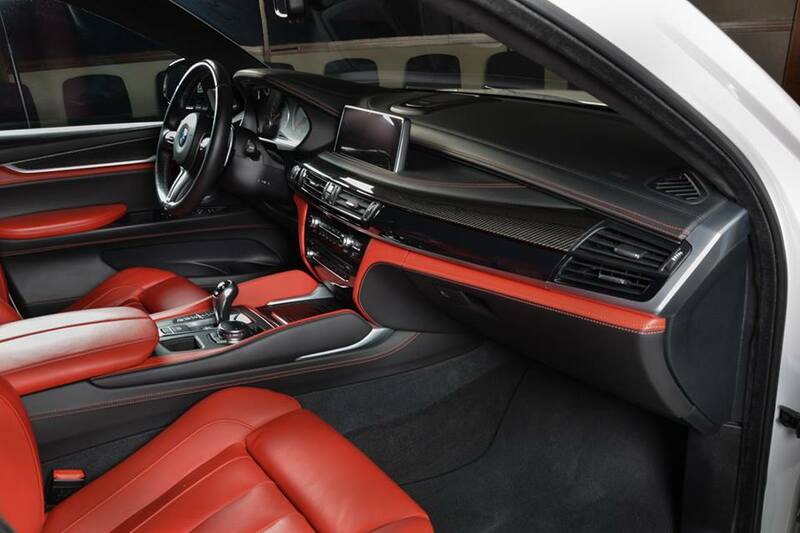 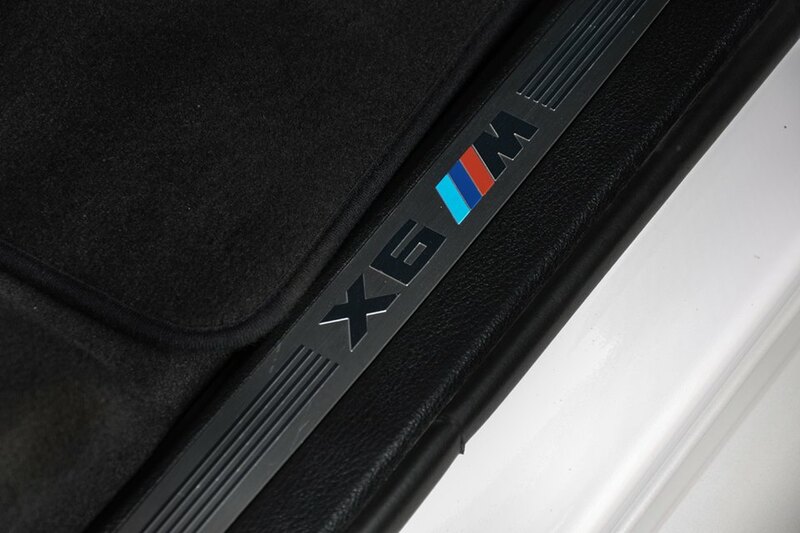 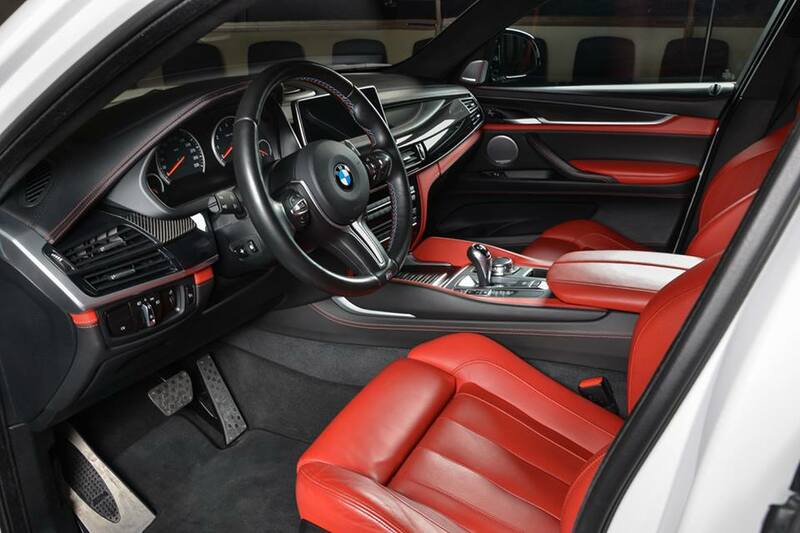 Prepared by BMW Abu Dhabi’s tuning arm, this X6M features a full assortment of very high-end aftermarket parts. 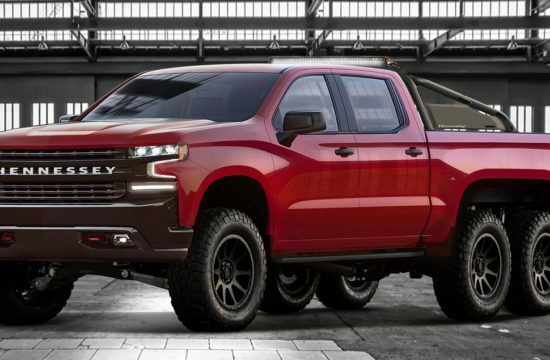 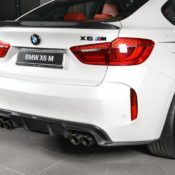 The way they are put together, too, is something to savour, since the parts match each other nicely and create a whole that does not really look aftermarket. 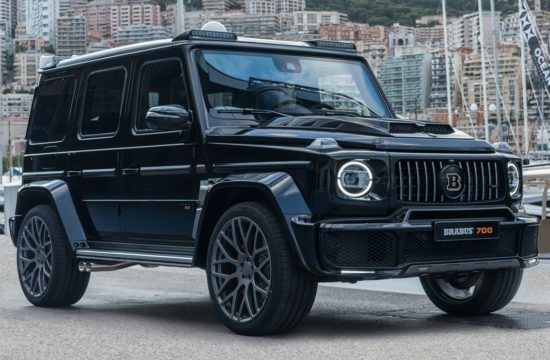 It almost fulls you into thinking it’s come out of the factory wearing all those jewelry and cool clothes. 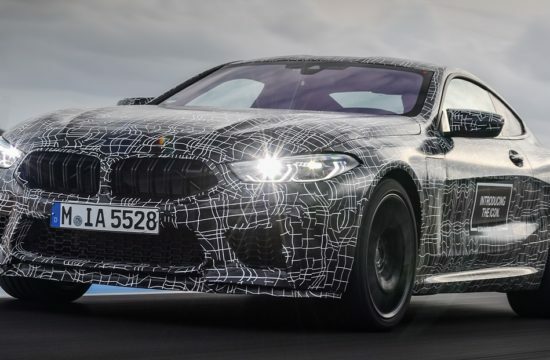 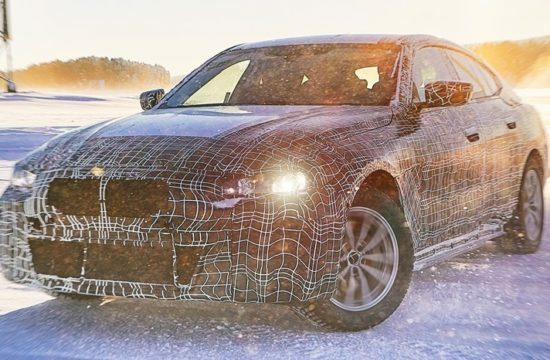 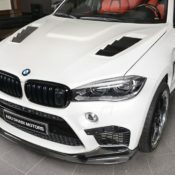 And then, of course, there is the unique shape of the X6M itself which adds to the visual drama brought on by the carbon parts. 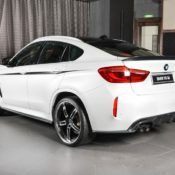 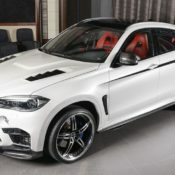 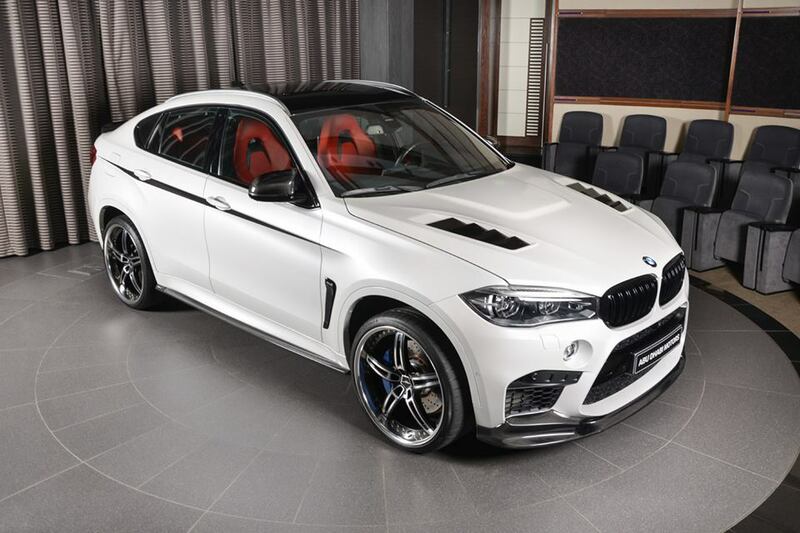 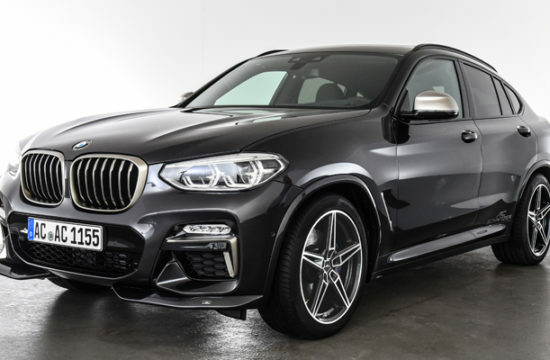 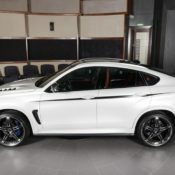 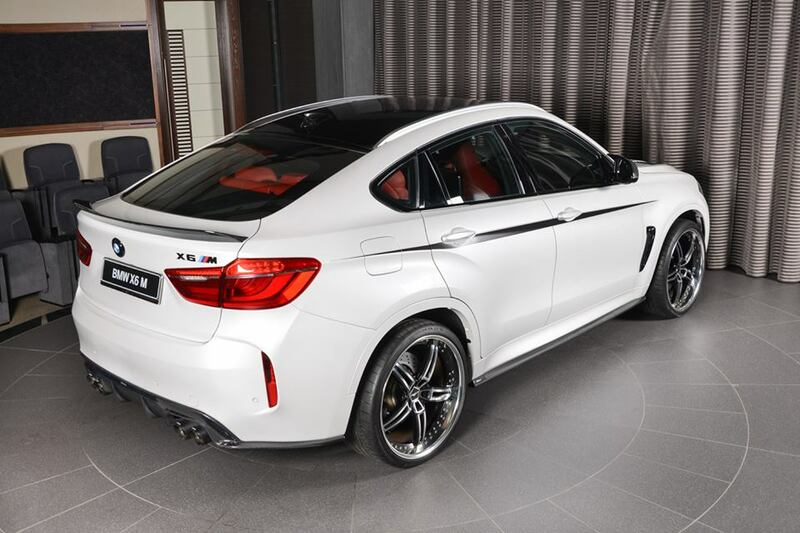 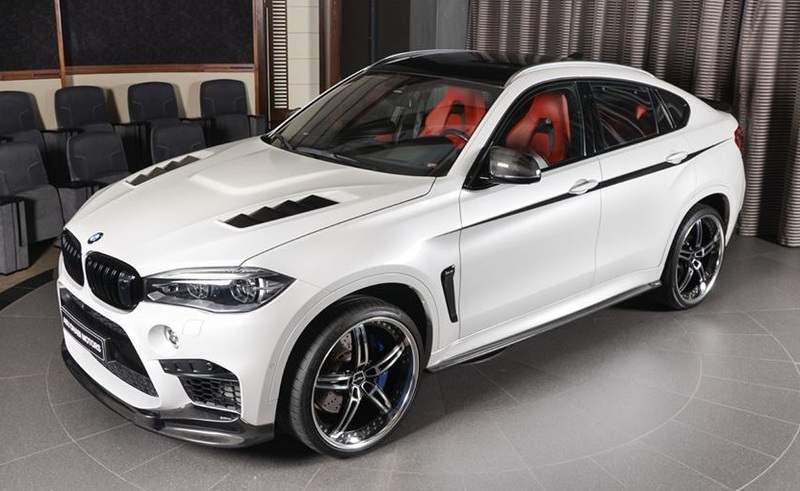 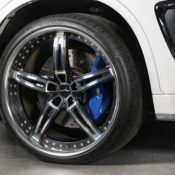 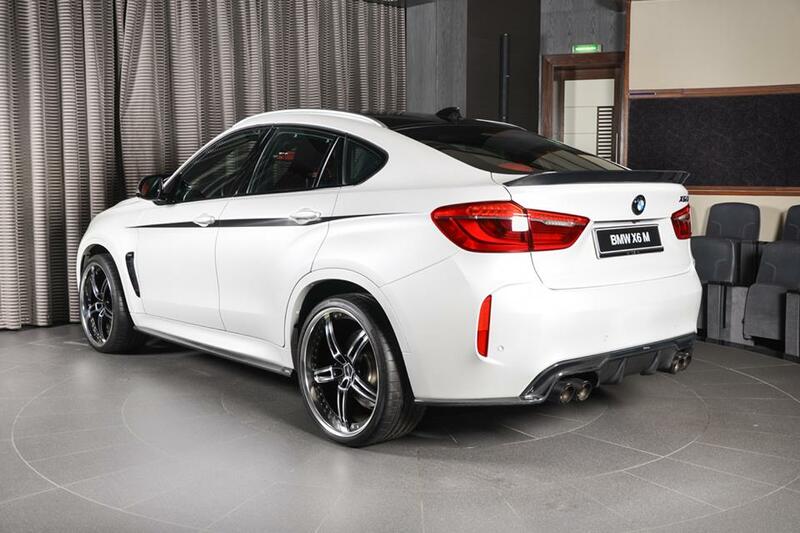 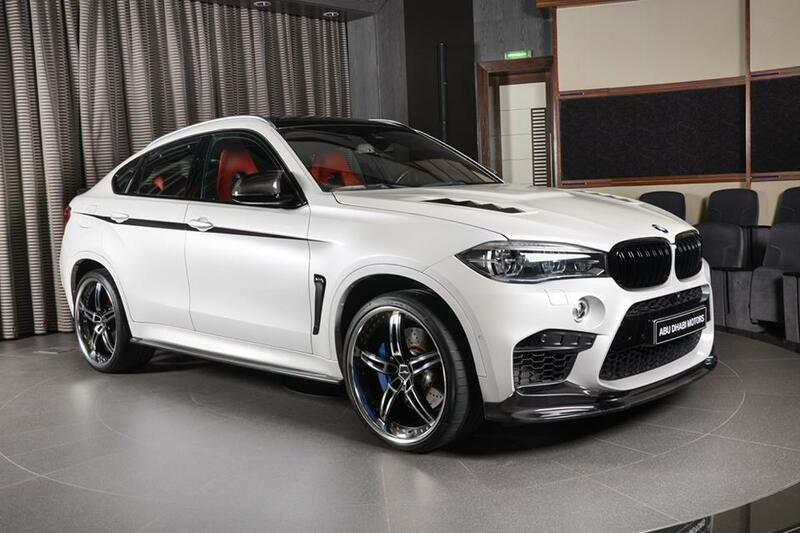 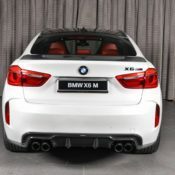 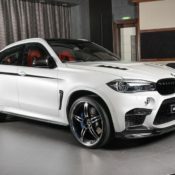 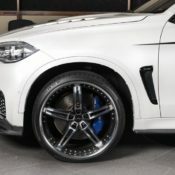 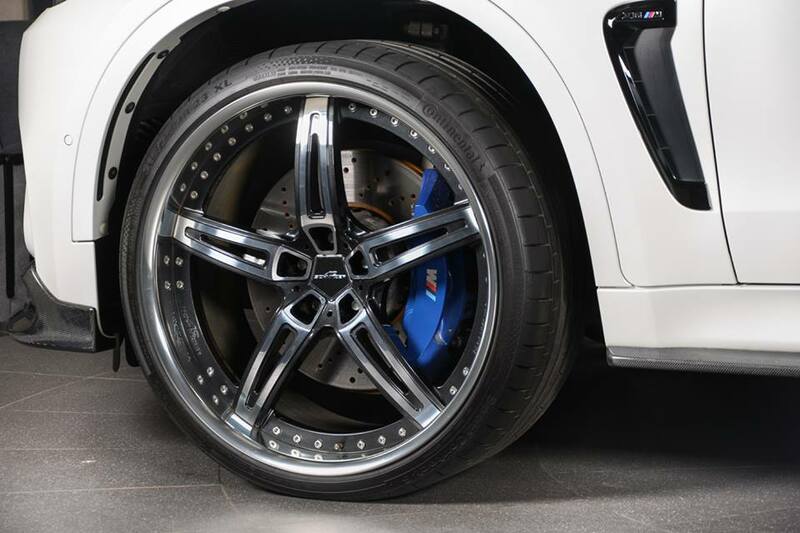 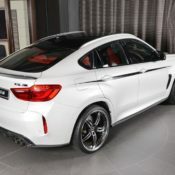 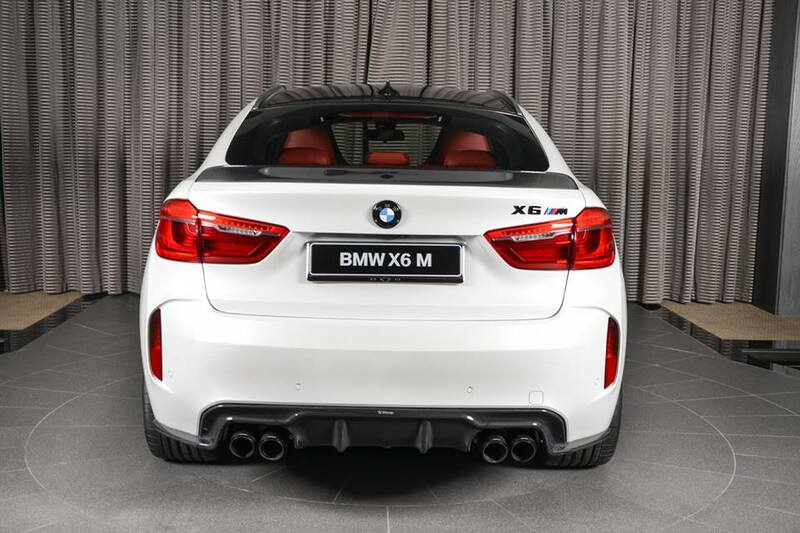 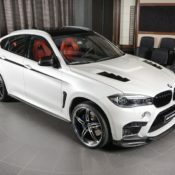 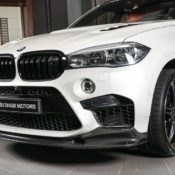 As for the ingredients used to make this delicious custom BMW X6M, the body kit comes from 3D Design, a renowned Japanese specialist, and it comprises front spoiler, side skirts, rear diffuser and rear tailgate spoiler. 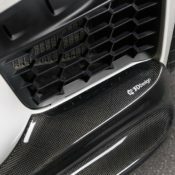 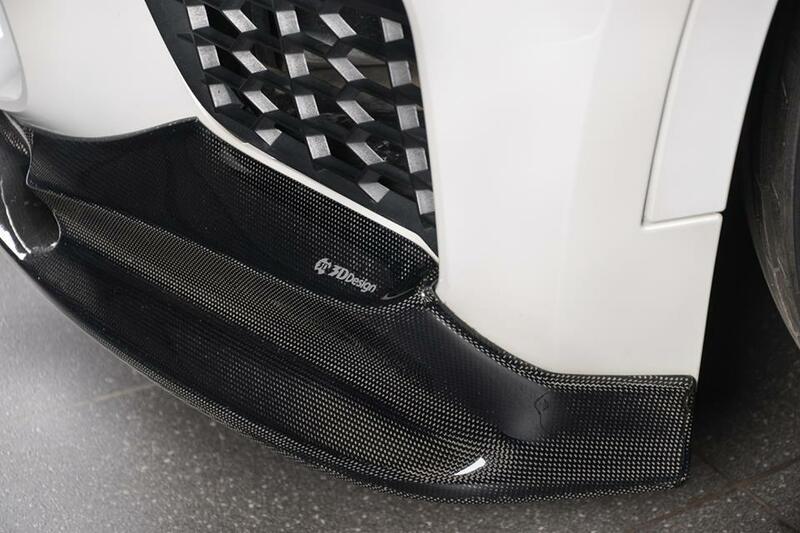 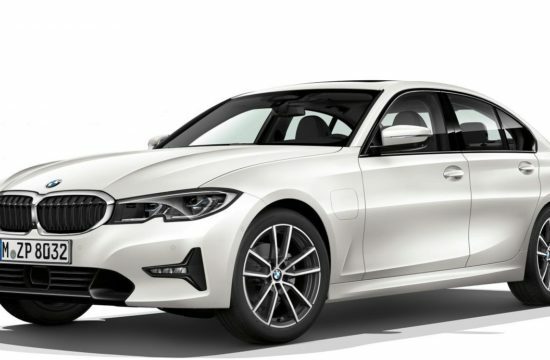 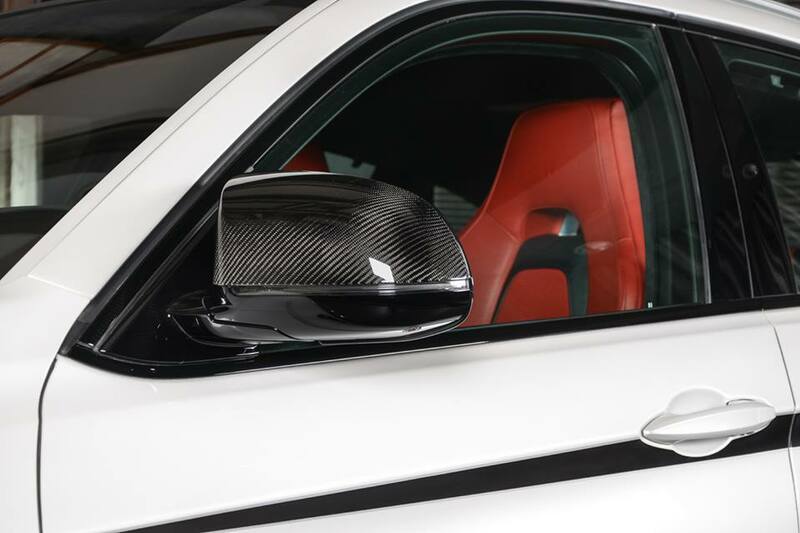 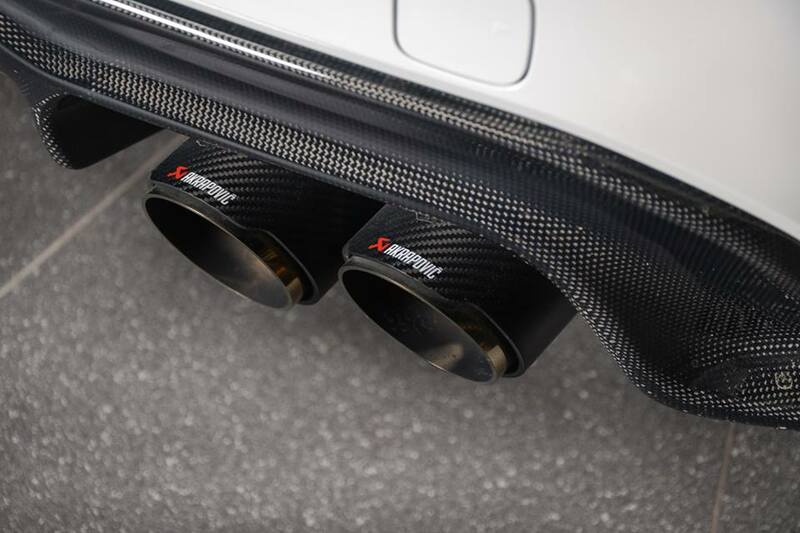 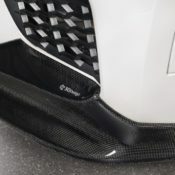 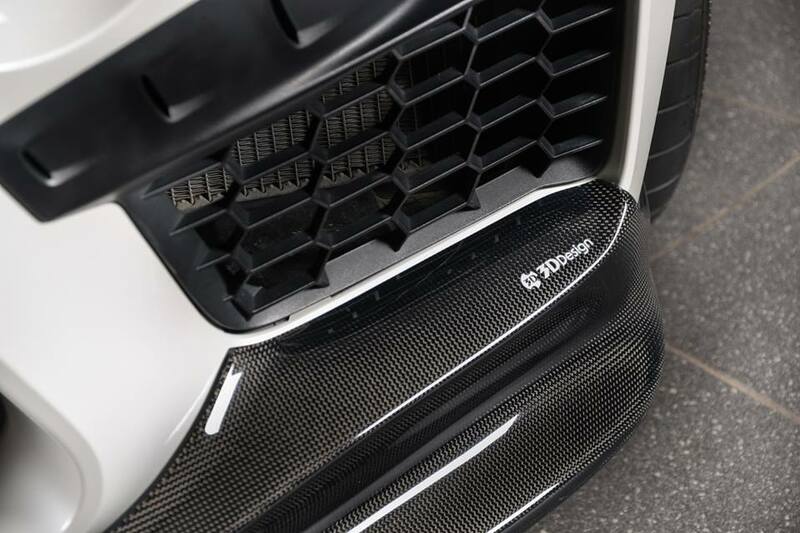 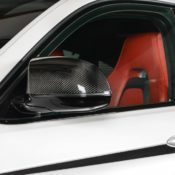 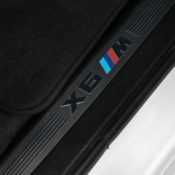 These carbon parts are complemented with a Manhart carbon fiber vented bonnet, M Performance carbon mirror caps and black kidney grilles as well as side M stripes, black fender vents and black roof finish. 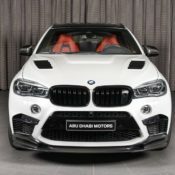 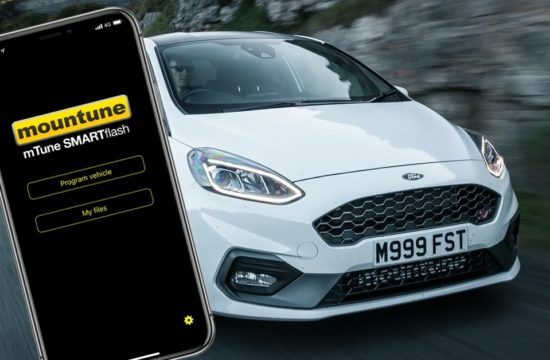 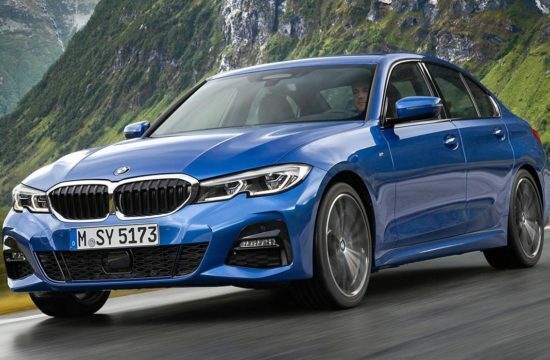 Other notable mods include a high-end Akrapovic Evolution exhaust system and a set of AC Schnitzer 23” AC1 Forged Racing wheels.